liverpool street | AN EDIBLE LIFE. I went for the Smokey Robinson (naturally) and my co-diner chose the ARI GOLD Cheeseburger (I think he was a little scared of the unknown so went for the safe option). I also chose the Thunder Thighs as a I side which I instantly knew was a mistake. I had these before and vaguely remember disliking them for some reasons – unfortunately, to me, they taste like tea. Like actual PG tips tea and and I seriously hate tea. My co-diner was having a ball though and couldn’t get over the fact “the meat is just falling off the bone!” I do think they are good thighs – they are definitely saucy enough, but just not for me. Our burgers had arrived with the wings and we got stuck in – they came on nice little trays which I suppose is trendy and there emphasis the take-away focus. 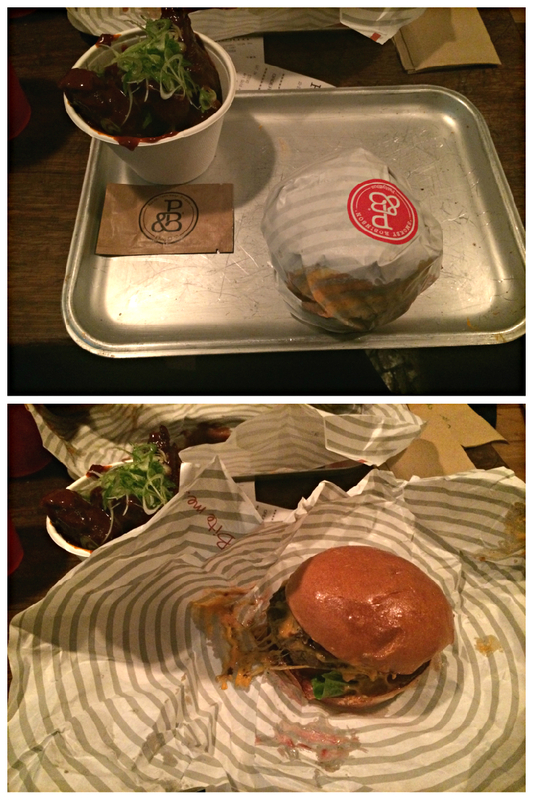 The meat is so incredibly juicy, juicer then any other burger I have tried. So juicy I would actually advise making a small well with your wrapper to collect all of the said juice! They get literally get everything right…the bun, the condiments (the burger sauce they use is DELICIOUS) how they cook the PATTY (all burgers come medium-rare unless specified I believe) and the caramelised onions that come in the Smokey Robinson are perfection. I’d say this could be my favourite burger place in London, I just prefer the James Street (London) branch because you can sit down and make more of a meal out of it. My Aussie co-diner was actually in awe, he couldn’t believe how tasty a proper burger could be. He didn’t speak for a while why he processed what had just happened to him. WHY: Why what? 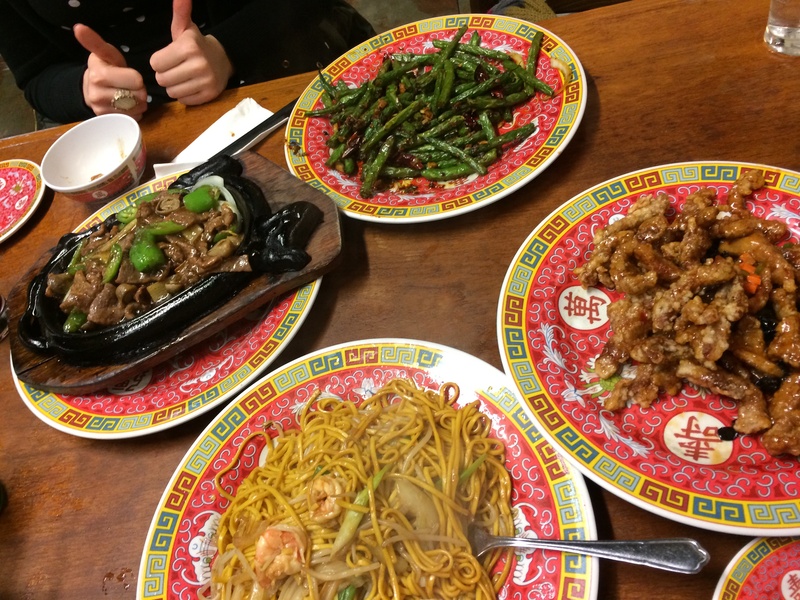 Why is it the best Chinese restaurant in the world? You should go for yourself and find out why. The menu is crazy, its a small NOVEL and has so many dishes that couldn’t be more un-westernised – your local take-away’s favourites will either not be in here or they will be written completely differently. I’m not sure I can say anything to do this dish justice. It is sweet, sticky, delicious, well cooked, not too heavy, a great amount of pork. More than 4 of you eating and you will probably need 2 portions! 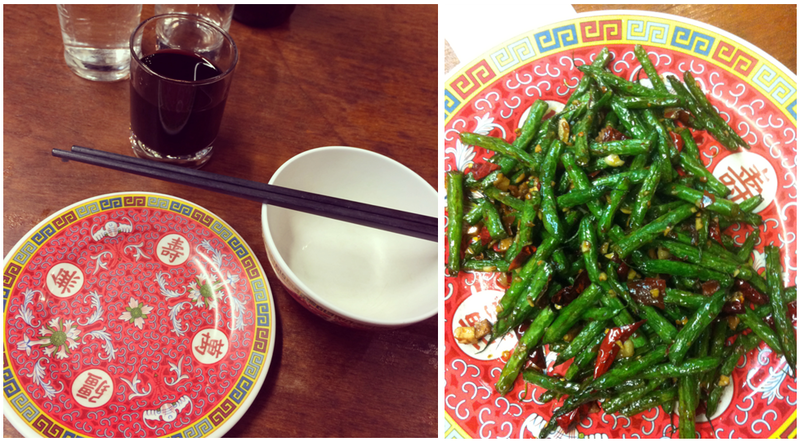 Small green beans covered in garlic and yep, you guessed it, minced lamb (and a bit of chili). The beans are so perfectly cooked and the garlic is not bitter/over powering at all. This is a truly delicious dish. Again – more than 4 of you eating and you will probably need 2 portions! You can see the marvellous little eating utensils you get alongside the green beans below..
Beautiful small pieces of beef (not a beef filet as you would imagine) in a lovely black pepper sauce where the black pepper does not over power. Great amount of veg also. Just your standard egg noodles – nothing too exciting but tasty and a great dish to accompany the more dominant flavours. All of the rice’s are great also! The staff are extremely rude here, by far the rudest I have ever dealt with (they even hung up on me when I tried making a booking last time) but don’t let this put you off. The food is too good to worry about what is going on around you!